What is integrative medicine? Integrative medicine is way to heal the body by treating the mind, body, and spirit all at the same time. It combines modern medicine with reputable approaches from around the globe. Integrative medicine is designed not only to heal diseases, but the person as a whole. Many would argue that integrative medicine is not the same as CAM (complementary and alternative medicine) and it’s not the combination of conventional medicine with CAM. This type of medicine emphasizes healing and wellness of the whole person, including bio, psycho, socio, and spiritual dimensions, as the main goal and has followed both conventional and CAM approaches to help create a supportive and effective physician-patient relationship. Why do people turn to integrative medicine? Many people have become dissatisfied with the ways traditional hospitals and doctors take care of patients. With integrative medicine, it seems to give more assurance and attention as to how a person is healed. The approach emphasizes treating the whole person, promoting good health and well-being, and valuing prevention. In the recent decade, integrative medicine has become increasingly popular. Doctors and philosophers are coming together because integrative medicine is something that these professionals truly believe can heal a person. The World Summit of Integrative Medicine offers a 7-day all-online event that focuses on integrative medicine information for the world to watch and learn. This year’s summit is taking place October 5 to October 11, 2015 and you can watch the World Summit of Integrative Medicine online and the comfort of your own home. You can listen and watch 49 different speakers talk about “Creative Innovations in Health Care”, which is the topic for this year. You can enjoy live broadcasts, videos on-demand, and many features of a live conference, including online chat rooms and attendee hangouts, virtual exhibitor booths, and lots of other bonus media. If you are interested about learning more on the topic of integrative medicine, then you might want to sign up and attend the World Summit of Integrative Medicine this year. Signing up is free but the organization also offers a premium package for $50, which gives you access to all the keynote speakers and attendee hangouts. Some of the keynote speakers include Gregg Braden, v, Dr. Joe Dispenza, Dr. Joan Borysenko, Nassim Haramein, David Wolfe, and Dr. Lissa Rankin. 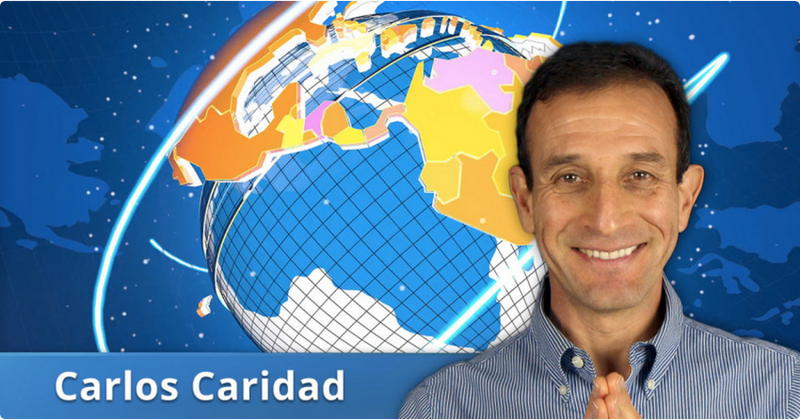 Also speaking is Carlos Caridad, Reiki Master Practitioner, Speaker, Educator and Teacher, will be presenting on October 4th through 10th, with his speech entitled “Energy Healing: The Practical Application of Quantum Physics”. The speakers at this year’s World Summit of Integrative Medicine all have a great background and experience in the realm of integrative medicine. To give you a little background about some of the speakers: Gregg Braden is an author known for his claim that the magnetic polarity of the earth was about to reverse. He argued that the change in the earth’s magnetic field might have effects on human DNA. Dr. Amit Goswami is a theoretical quantum physicist who has taken an interest in the spiritual realm to interpret and validate the intuitions about the existence of a spiritual dimension of life. Dr. Lissa Rankin is a physician, author, speaker, teacher and founder of the Whole Health Medicine Institute. She focuses on how we can align our soul’s purpose in all aspects of our lives. Come to the World Summit of Integrative Medicine and watch it stream live! World Summit of Integrative Medicine is Live!